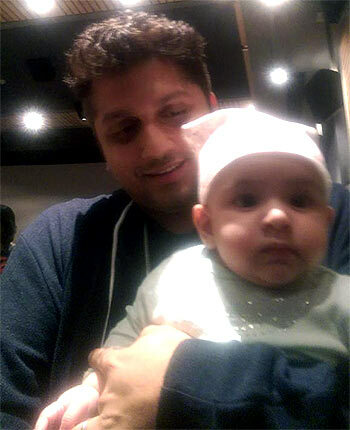 Mahesh Bhatt unveiled the first photo of Mohit Suri and Udita Goswami's daughter Devi on his Twitter page. Devi, who accompanied Suri for the screening of his upcoming venture Hamari Adhuri Kahani, sat on the EK Villain director's lap while the proud father smiled from the back. "The Godess(Devi) journeys out of her cradle to watch the screening of Papa Mohit's love tale #HamariAdhuriKahani," Bhatt tweeted. The film is scheduled to hit theatres on June 12. Suri tied the knot with Udita in 2013. The couple welcomed their first child earlier this year.